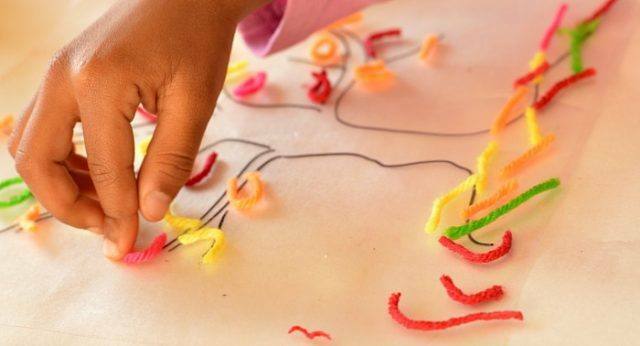 Contact paper is such a versatile kids activity supply and one that lends itself to various kids crafts and art projects. We have used contact paper earlier in our Sticky Yarn Learning Activity. 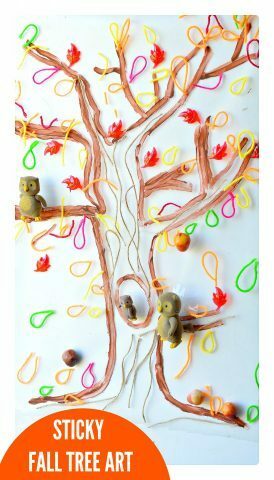 Today we are sharing our sticky fall tree craft which turned out to be so much more than a simple fall craft for kids. 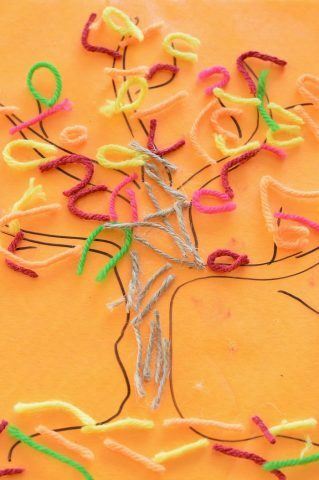 Draw a tree outline on a clear or orange colored contact paper. 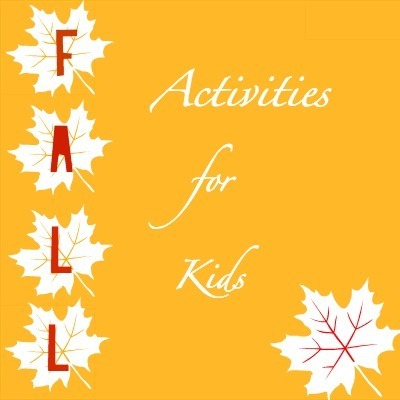 We set out some fall themed colored yarn and you can involve the kids in snipping the yarn which is great for fine motor skills and cutting skills. 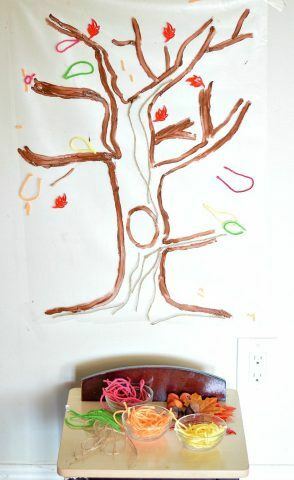 The kids snipped some yarn bits to mimic the leaves of a fall tree and positioned them on the contact paper. We used jute for the bark area of the tree. Some yarn bits were used as fallen leaves as well. Since the girls really loved this fall tree craft we decided to go bigger and recreated the fall activity on our wall. 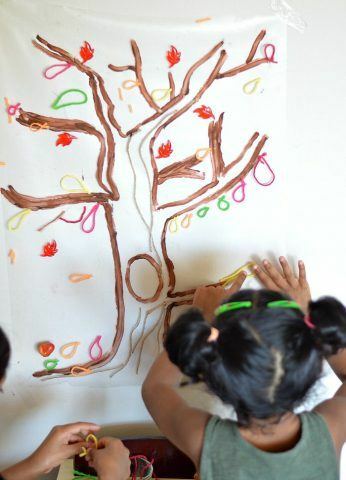 The kids were eager to decorate their sticky fall tree with all their favorite fall themed decorations. They started sticking the cutup yarn while redesigning and repositioning the “leaves”. Since the canvas was sticky side of the contact paper it was quite easy to do this. This entire activity was a great fine motor work and did wonders for their vocabulary and team building skills. They had to work together to create this large fall art. The younger kid made sure the outline had a tree hollow for their owls. The girls twister the yarn bits to create leaves for their trees. 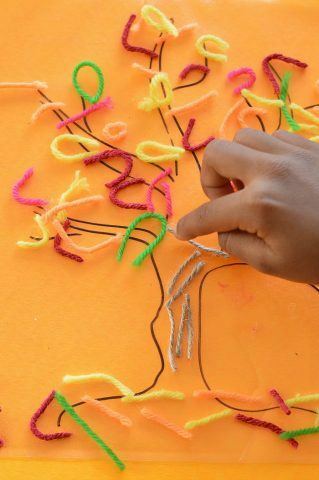 This particular step helped test and train their patience, coordination and perseverance since it was not easy to get the yarn shaped into leaves. 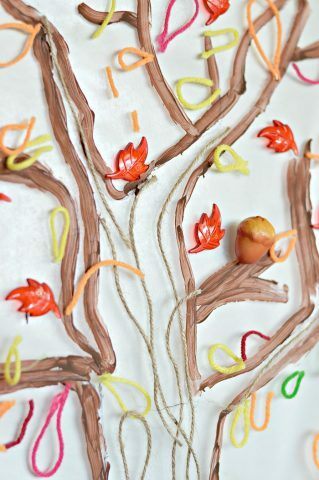 Finally they used fall table scatter gems, silk leaves and plastic acorns to finish off their fall tree craft. Most of our kids crafts activities or even art projects almost always turns into a prop for pretend play and that’s what happened here as well. 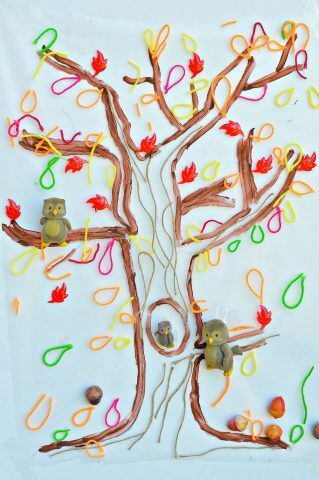 They planned their fall tree craft in such a way that it was conducive to their following pretend play session. They brought out their owl toys and tried hard to have them stuck on the tree. Since the owls were bigger tape had to be used to have them stuck in the branches. 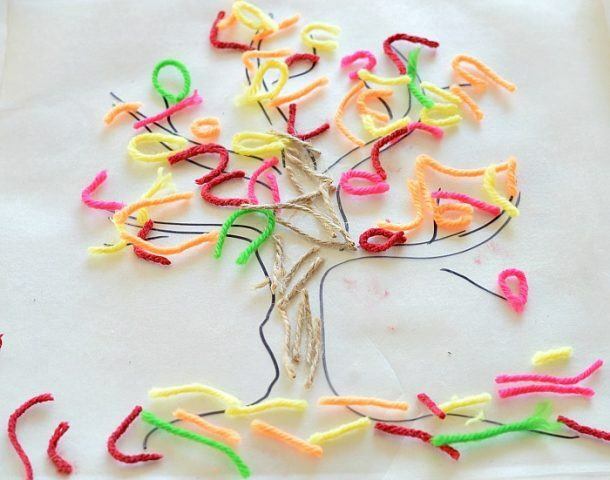 Here is our finished sticky fall tree craft. 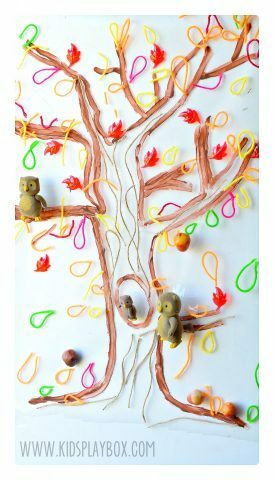 Modify this fall tree craft and turn it into a fall craft for toddlers and preschoolers. 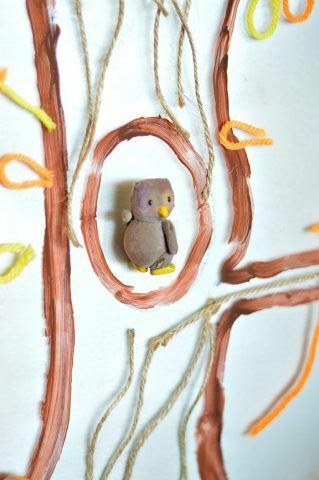 This fall craft is great for toddlers if just yarn bits and contact paper is used without any preset design or shapes. 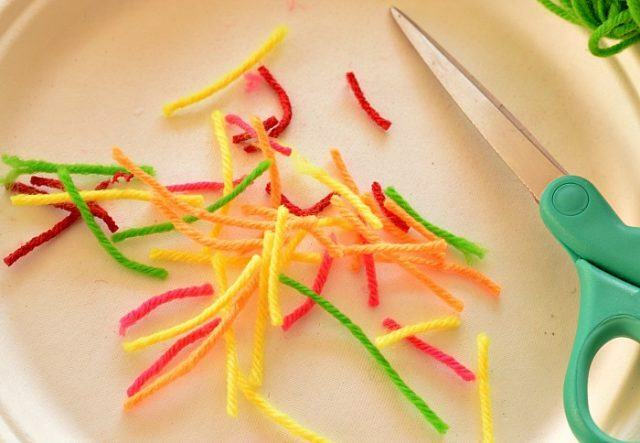 Just set out colored yarn bits and taped contact paper with sticky side up and encourage your younger kid to play, feel and create with vibrantly colored yarn.